One of the top Charlie Chaplin Impersonators & Magicians in the World. 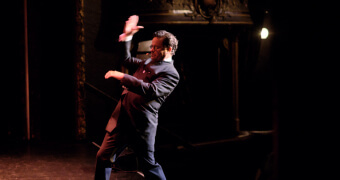 For the past 25 years Paul Romhany has taken his unique performances to over 120 countries performing in theatres, headlining on luxury cruise liners, television and private functions. He has appeared at the famous Magic Castle in Hollywood and performed for The Royal Family of Monaco, celebrities and been seen by audiences on every continent. 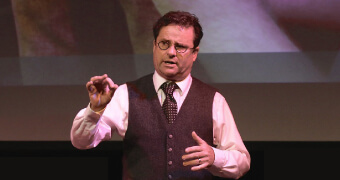 He has consulted and created magic for magicians that can be seen on television and stage and is editor and creator of the world’s largest magazine for magicians VANISH. He has been described as one of the most creative, highly entertaining and innovative magic acts in the world today. Paul can cater to your magical needs providing the custom entertainment that will make your next production or event a unique and memorable success. 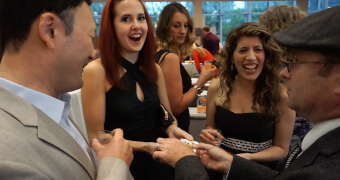 Paul is a world-class close-up magician and has performed at thousands of functions over the past 25 years as a professional magician. The Stand-Up comedy magic show combines both comedy and magic to bring a fun filled show that will have your audiences laughing and amazed at the same time. In this interactive show Paul takes on the role of a psychic detective and the audience become suspects in the murder of a world famous clown. 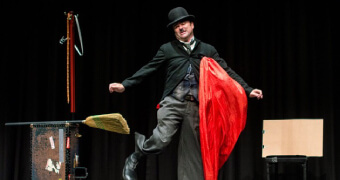 Paul is considered as one the worlds best Charlie Chaplin impersonators and brings the visual comedy of Chaplin back to life in this International Award Winning magic act.